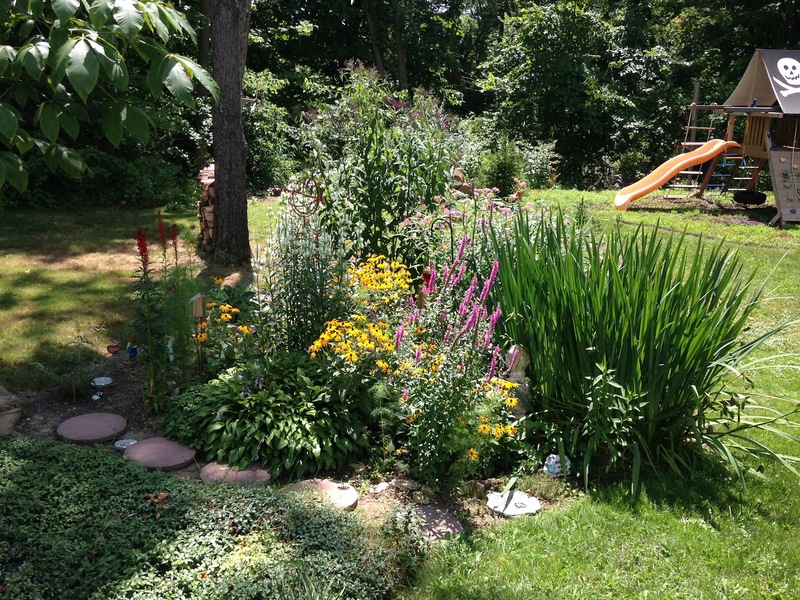 This is the second summer of our butterfly garden. 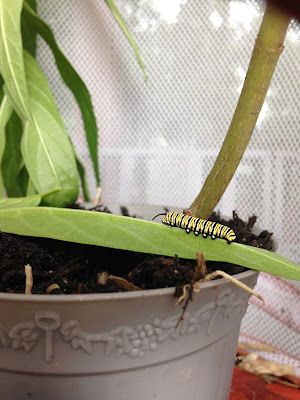 We planted native milkweed to attract monarch butterflies with the hope of seeing caterpillars change into butterflies right in our backyard. Last year, we found two caterpillars but they died before they were full grown. 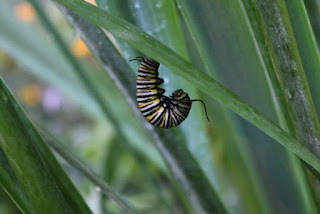 This year, I didn't find any monarch caterpillars. I gave up hope and thought, maybe next year. Margarita Engle is fascinated by people who make "hopeful choices in situations that seemed hopeless." (Colorín Colorado). Additionally, she commented on writing about hope, "The one thing I do very differently for young people is I only choose stories that have hopeful endings. Even when I'm writing about very difficult situations, I wouldn't have written it if there was not a real-life hopeful ending." (Fresno Bee, 2015). 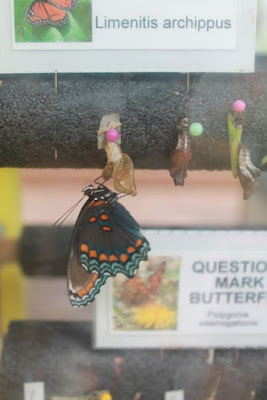 It is probably not a coincidence that because of our author birthday celebration for Margarita Engle our butterfly garden will have a hopeful ending this year. Margarita Engle is the author of books for all ages including the Newbery Honor book, The Surrender Tree: Poems for Cuba's Struggle for Freedom and The Sky Painter: Louis Fuertes, Bird Artist, illustrated by Aliona Bereghici. Margarita's parents, both artists, met and fell in love when her father traveled from Los Angeles to her mother's hometown, Trinidad, Cuba, after seeing it featured in National Geographic. Margarita was born in Los Angeles and returned to Cuba during the summers to visit her relatives. This all changed after 1960, when U.S. relations with Cuba prevented Margarita from communicating with her family. She described this experience in an interview with Colorín Colorado, "So for me as a child, it was as if Cuba had fallen out of the solar system. It was like science fiction. I had this huge extended family. 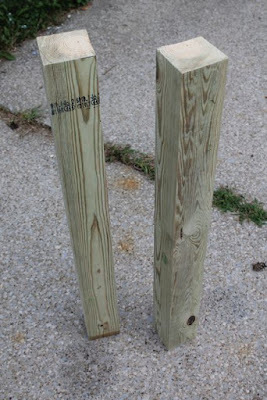 And suddenly, they were gone. They weren't available. And it was as if they didn't exist." Margarita missed visiting her family. She missed spending time on the family farm. She missed experiencing the tropical wilderness. Margarita was a "bookworm" as a child. She would often check out stacks of poetry books at the library and then write her own poetry. However, it was her love plants and farms that led her to study botany and agronomy. While working as a professor of agronomy at California State Polytechnic University she wrote many papers on plants and soil, but decided to take a creative writing course from Tomás Rivera. Margarita said, in an interview with Author Turf, "I had already experienced stability and security. I decided to give rejections and insecurity a try, in exchange for the euphoria of daydreaming on paper." Margarita was able to visit Cuba again in the 1990s. She reacquainted with her family, the inspirational landscape, and her poetry. "Until I started returning to Cuba in 1991, I mostly wrote individual poems and stories. I struggled for 10 years to write about the poet slave Juan Francisco Manzano. Only when I switched to free verse I did find success." (School Library Journal). Her first book for children was the novel written in free verse, The Poet Slave of Cuba: A Biography of Juan Francisco Manzano. For this book she earned a Pura Belpré Medal in 2008. She went on to be awarded Pura Belpré Medals in 2009 for The Surrender Tree: Poems of Cuba's Struggle for Freedom and in 2016 for Enchanted Air: Two Cultures, Two Wings: A Memoir. She also won three Pura Belpré Honor Awards in 2011, 2012, and 2014. Also, in 2016, her book Drum Dream Girl was awarded a Pura Belpré Medal for Illustration. We highlighted this book when we celebrated Rafael Lopez's birthday in August 2015. Margarita and Rafael have a new book, Bravo! : Poems About Amazing Hispanics, scheduled for release in March 2017. In addition to all of Margarita Engles's award winning books for older children she has written many picture books including Orangutanka: A Story in Poems, illustrated by Renée Kurilla, Tiny Rabbit's Big Wish, illustrated by David Walker, When You Wander: A Search-and-Rescue Dog Story, illustrated by Mary Morgan, and Summer Birds: The Butterflies of Maria Merian, illustrated by Julie Paschkis. 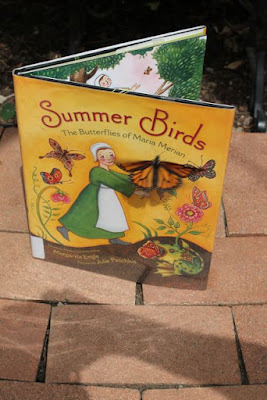 I remembered reading Summer Birds when we celebrated Julie Paschkis's birthday in 2013. 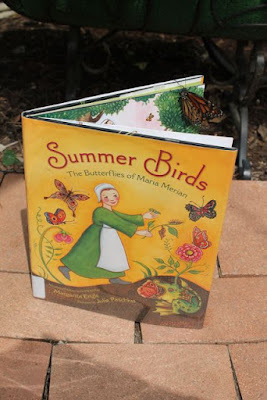 This picture book is about Maria Sibylla Merian who lived in Germany during the 1600s, a time when people believed that small creatures and insects were evil. 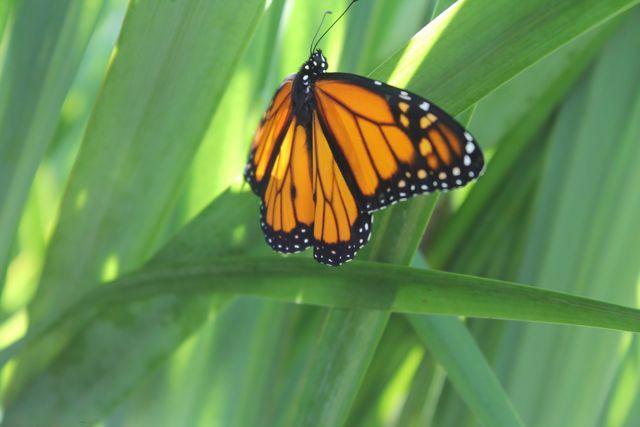 At the young of 13, Maria wants to prove that beautiful creatures like butterflies were not born of "spontaneous generation" but instead go through metamorphosis. 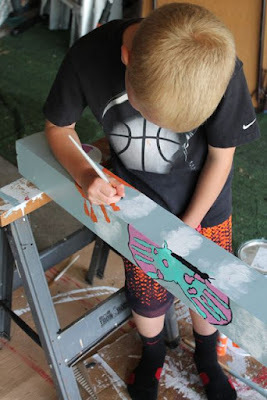 Maria observes carefully, documents her observations with art, and hopes of putting everything she learns in a book to teach others. 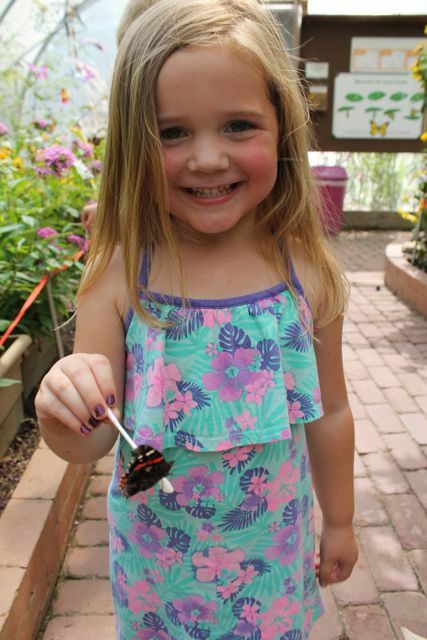 My children and I love visiting butterfly houses. 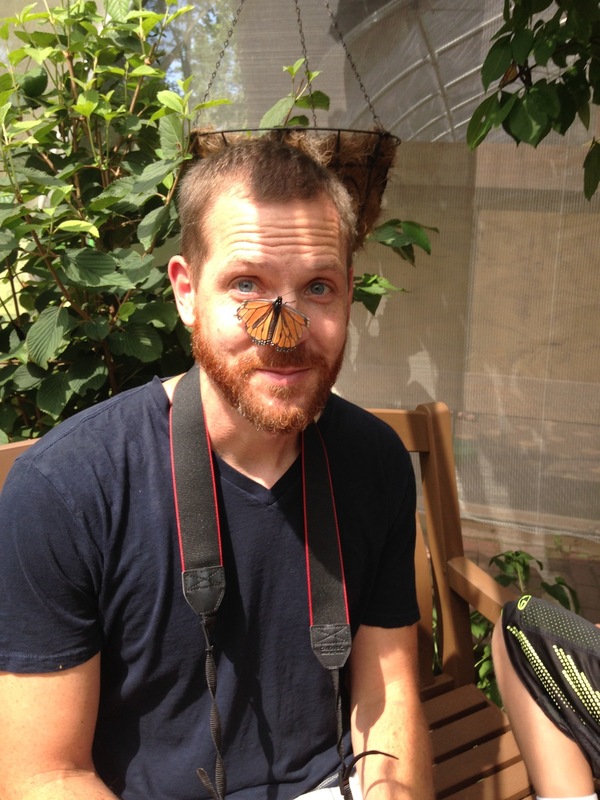 There is something magical about being in room filled with butterflies. I thought it would be fun to read Summer Birds: The Butterflies of Maria Merian in a butterfly house, but when I read about Beech Creek Botanical Garden and Nature Preserve I was hopeful this place was going to be something even more special and it was. Beech Creek Botanical Garden and Nature Preserve is in Alliance, Ohio. It is a non-profit organization that operates on 175 acres "to provide educational opportunities and interactive experiences that inspire people to be good stewards of their communities and the world." (Brochure). 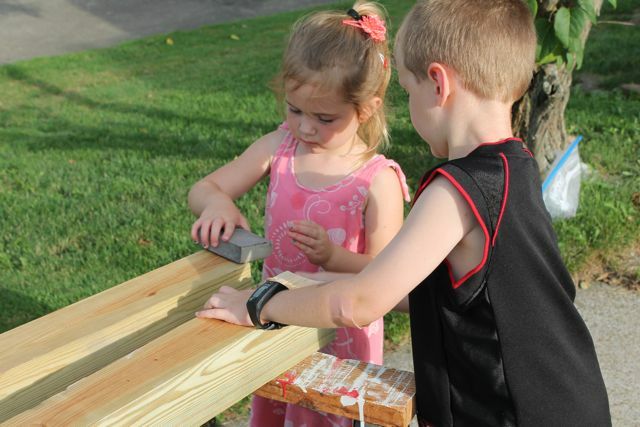 When we arrived my children didn't know what to do first. 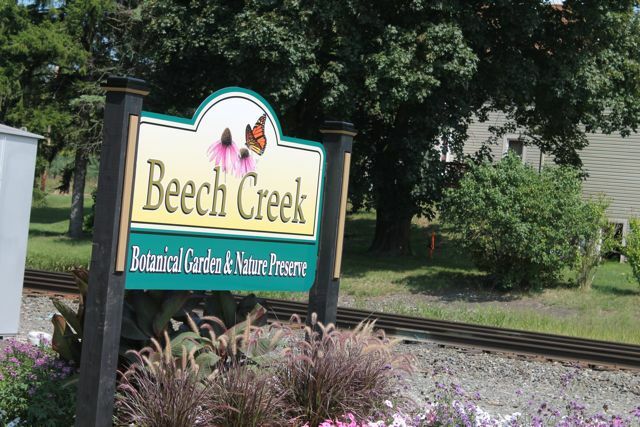 Everything at Beech Creek was so inviting. 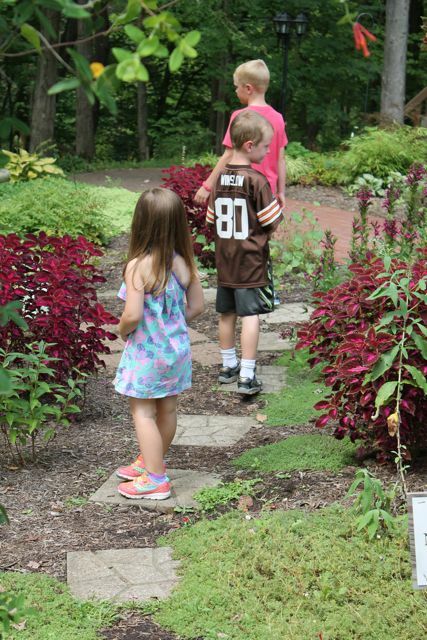 First, my children decided to walk through the hummingbird garden. 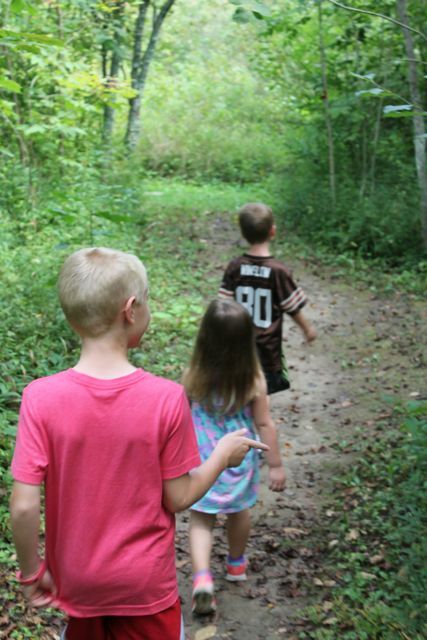 Then, we went on a short hike. There are four trails less than 1 mile long, perfect for my young children. 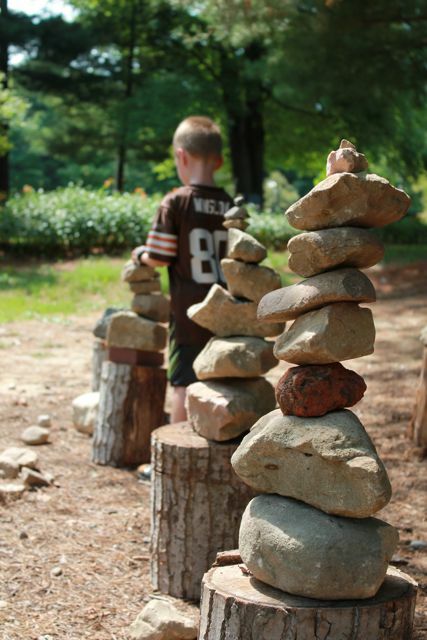 They loved the Make-Your-Own Rock Sculpture area. 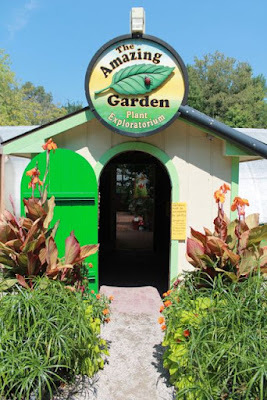 The Amazing Garden was amazing! 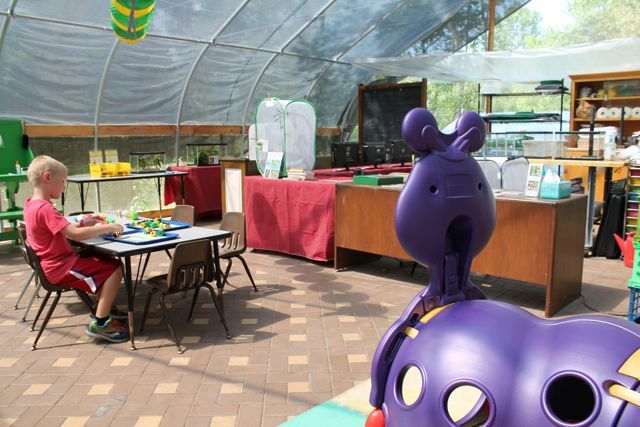 It would be the perfect place to bring a class for a field trip because of the numerous learning stations and variety of plants on display. My children loved the train! 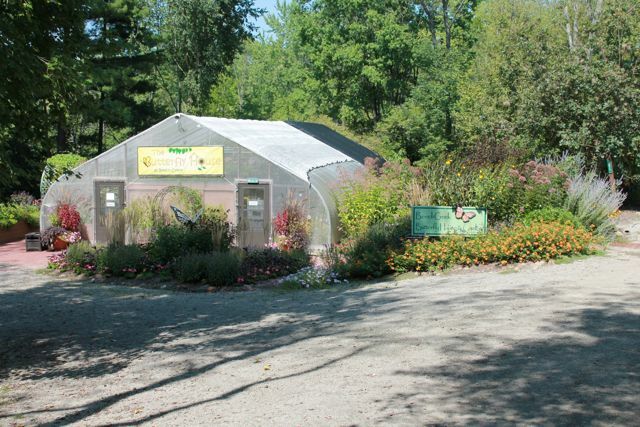 We saved the best area for last, THE BUTTERFLY HOUSE. There was small fee of $3 to enter. 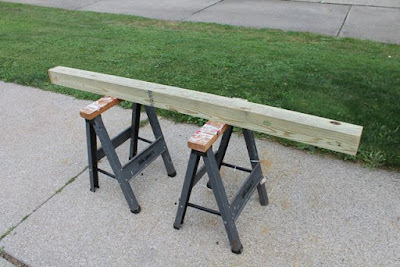 All the other activities mentioned above were completely free. We were greeted by a volunteer upon entering. 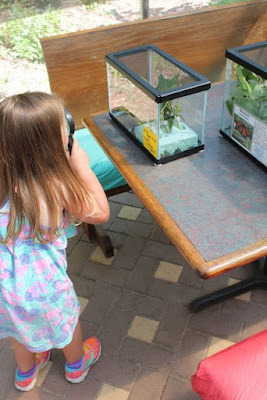 She immediately showed us the chrysalis station. 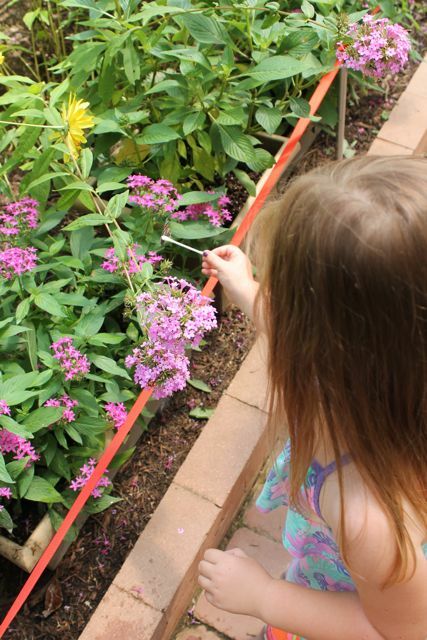 I sadly told her we had a butterfly garden, but there weren't any caterpillars or chrysalides. 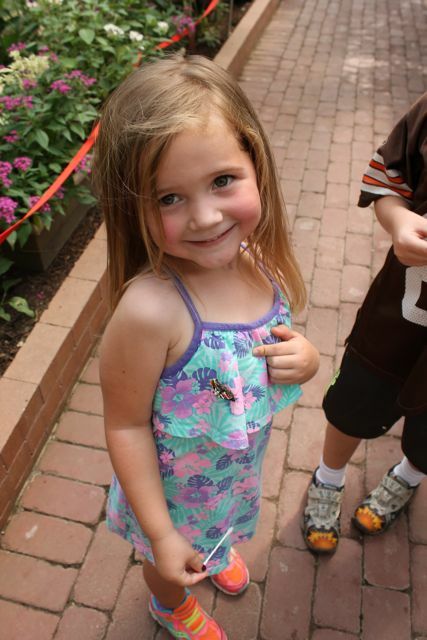 This butterfly had just emerged from a chrysalis within the last hour. By the time we left the Butterfly House it flew out of the chrysalis station and was flying with all the other butterflies in the butterfly house. 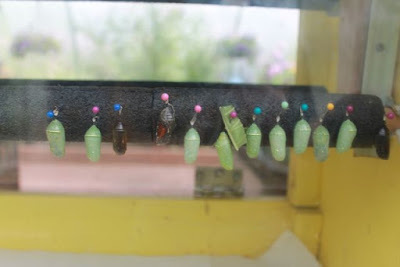 These are monarch chrysalides. They start out light green and then turn clear right before the butterfly is ready to emerge. The volunteer set up a microscope for us to look at monarch butterfly eggs on a milkweed leaf. 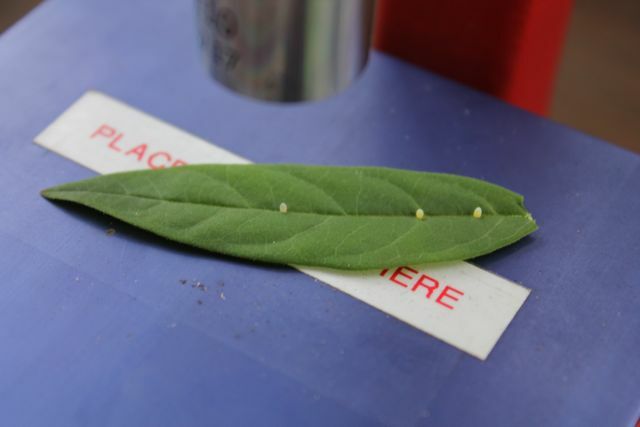 Three monarch eggs on this leaf. Q-tips were available to dip in sugar water to offer to the butterflies. If you were lucky, a butterfly would let you pick them up. Or maybe just wear a flower shirt and they will land right on you! 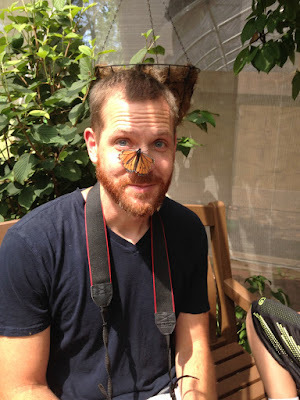 I found a bench inside the butterfly house to read Summer Birds: The Butterflies of Maria Merian. As soon as I sat down I think someone was trying to tell me I took his seat. 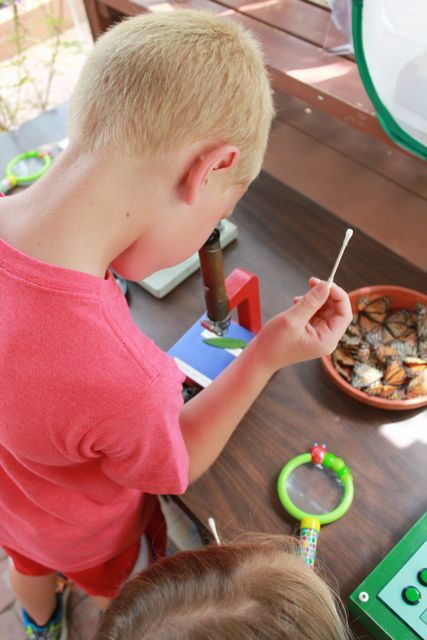 When I read the words from the book, "I am only thirteen years old, but I capture insects. I study them." My son captured one too. I set the book down to take a photo like I always do and immediately a butterfly landed on it. Do you see it? It blends right in. Then it flew to the inside pages! 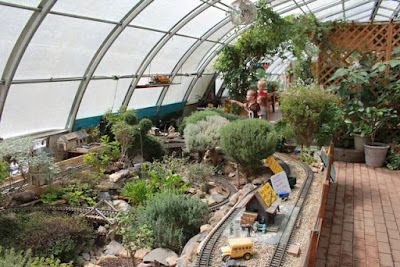 Inside the butterfly house there is the caterpillar hatchery. On display were many different caterpillars in boxes with their favorite leaves to eat. My children got to "sit still" and "watch" just like Maria Merian. 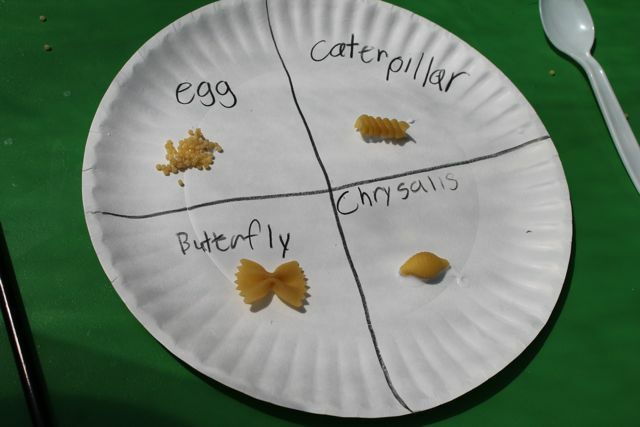 I thought this pasta craft activity was very cool. While my children did the craft and played with all the hands-on activities the volunteer I talked to earlier came up to me and asked, "How would you like to take some caterpillars home to your garden?" I couldn't say yes fast enough. 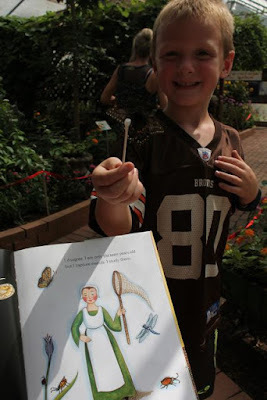 She packed up caterpillars of various sizes and even gave us a few leaves with eggs on them. The whole ride home I was thinking, We are going to have caterpillars in our garden!! 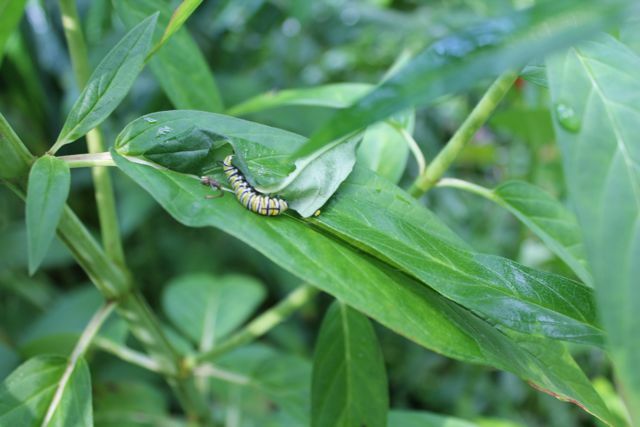 When we arrived home and after a short torrential downpour, we put most of the caterpillars in our garden. We placed a few in our mini-butterfly keeper to observe inside our house. The video above shows one of the monarch caterpillars from our garden eating a swamp milkweed seed pod. He is the largest caterpillar to ever live in our garden. 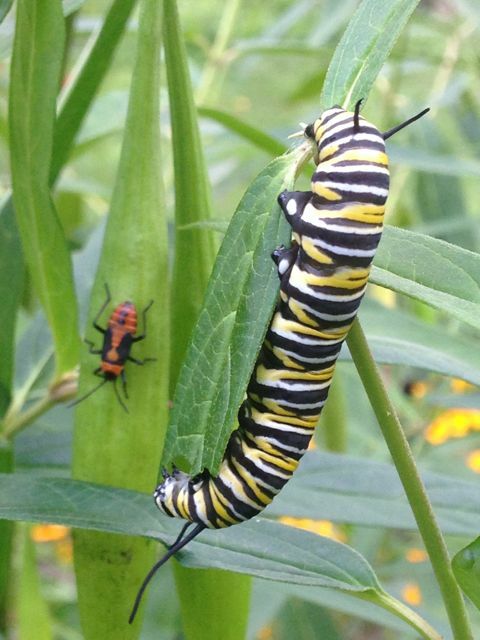 While the caterpillars were in our garden munching away on the milkweed. We set our minds to another project. 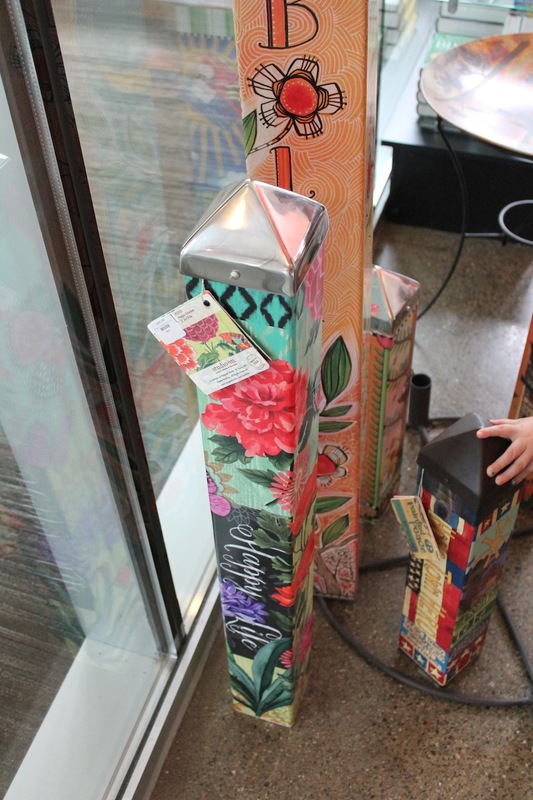 I saw these decorative poles at the National Aviary's gift shop when we celebrated Lizzy Rockwell's birthday last week. I thought one of these would look perfect in our butterfly garden. I purchased a 6 foot long post that was 3.5" x 3.5" at Home Depot. It cost around $7. 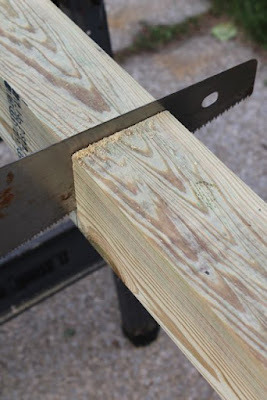 We cut it in half. The little ones sanded all the rough spots. We had two posts, but we decided to make just one painted pole. 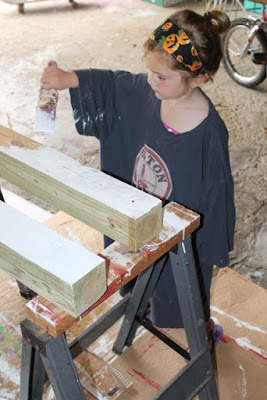 My daughter primed the poles and then we added a coat of blue paint. 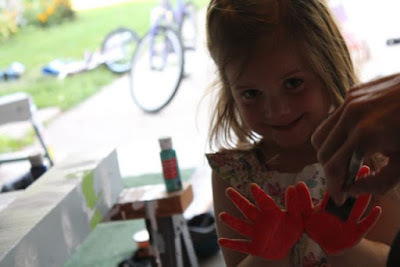 Each of my children chose their favorite color to make their handprints. Then, they turned their handprints into butterflies. 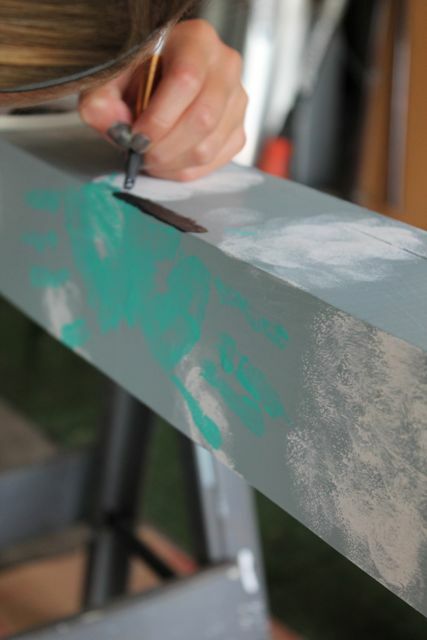 I let the paint dry overnight and then I sprayed a layer of clear acrylic on top to protect their art. 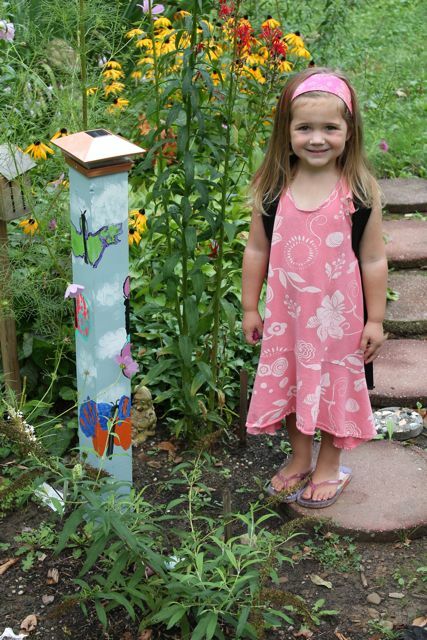 Then, we added a solar light (available at Home Depot for less than $10) to the top and placed it our butterfly garden. The poles at the National Aviary were called "Painted Peace" poles. 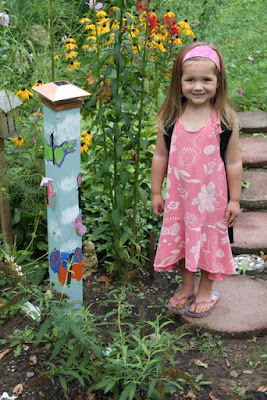 I think we will call our pole a "Painted Hope" pole; hoping for butterflies. 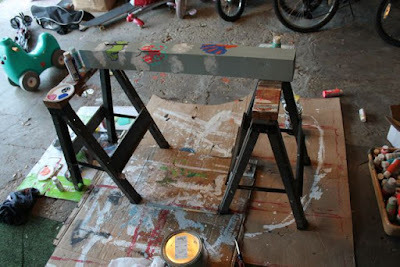 This photo was taken the morning I wrote this post and by the afternoon I was unable to find him. 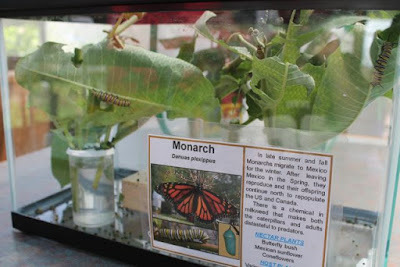 I have read that monarch caterpillars will travel up to 40 feet to find a hard surface to attach themselves to begin the pupa stage. 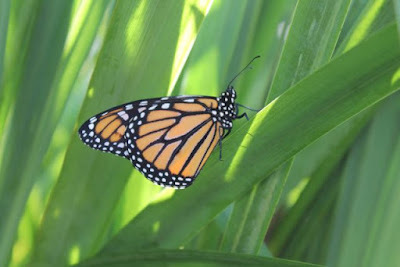 He is somewhere in our yard waiting to become a butterfly. 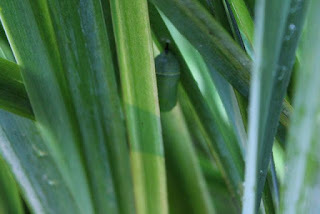 We do have one chrysalis in our mini-butterfly house, too! This is so exciting and hopeful! Thank you, Margarita Engle for writing a book that inspired us to learn more about the life cycle of a butterfly! Margarita, it was a pleasure meeting you at the Virginia Hamilton Conference at Kent State this year. Thank you for sharing your birthday with us. We hope you have wonderful birthday. Thank you for sharing your stories with us. 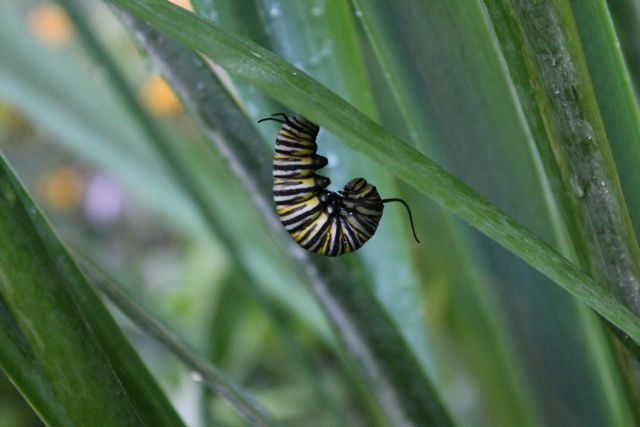 We were able to spot two caterpillars on the move from the milkweed to a nearby patch of yellow irises in our garden. The caterpillars decided that the sturdy leaves of the irises would be the perfect place to form into a chrysalis. I found this the morning of September 7. I also found this caterpillar hanging upside down. I estimated that he began hanging upside down around sunset of September 6. 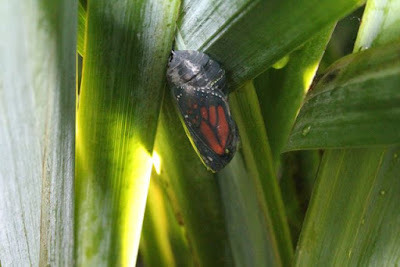 I knew he would form a chrysalis around midday on September 7; around 18-20 hours after the "hanging J". (I was determined to capture the moment to share with you.) 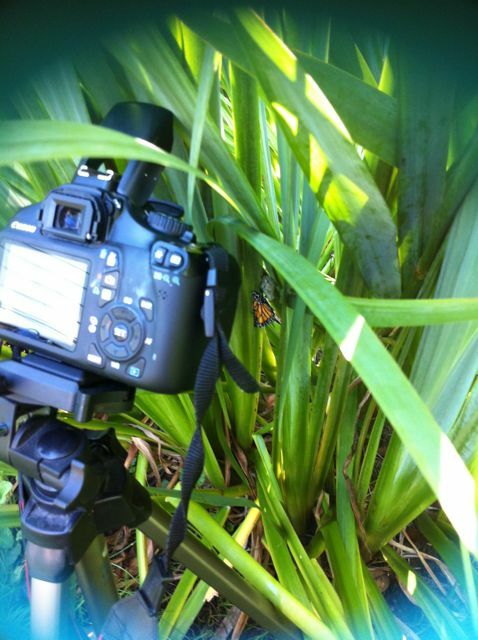 The caterpillar started pulsating and slightly twitching around 12:30pm. I watched for almost two hours and then it happened. Watch the video below! 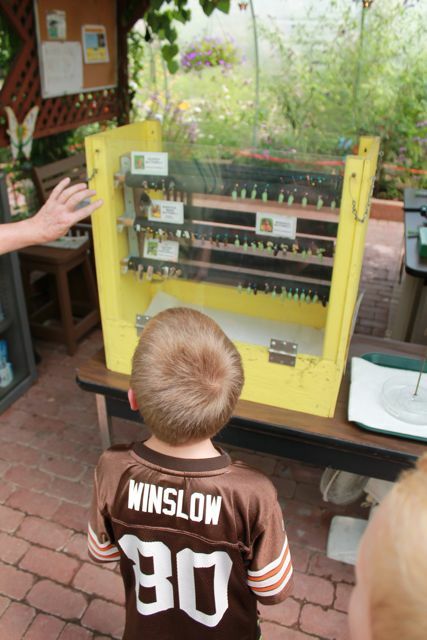 It was a long wait to see our monarch butterfly emerge from its chrysalis. I would be lying if I said I wasn't a little worried a few times. 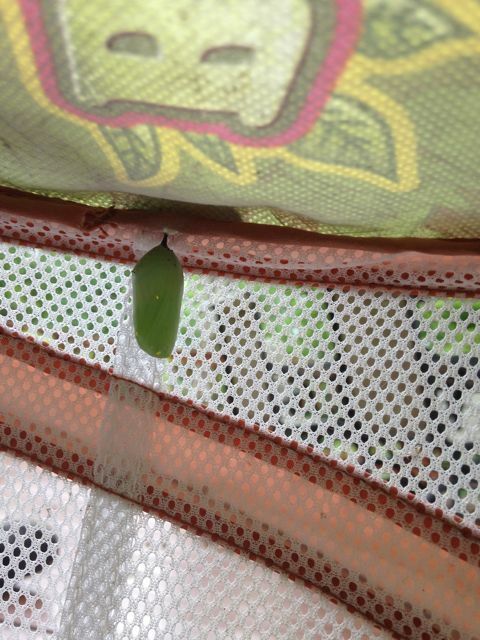 I thought it took 7-10 days for a monarch butterfly to emerge from its chrysalis, but we were on day 17 when we knew it was just about time. 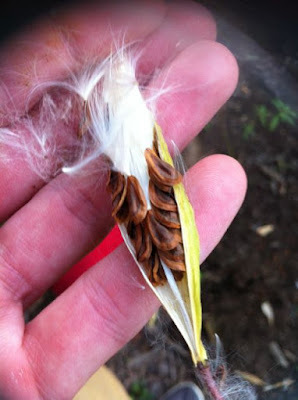 We spent our "waiting days" gathering up milkweed seeds. Some of the seeds we are scattering in our yard, others will be given to friends, and more will be saved to plant next year. How did we know it was time? We could see the monarch butterfly in its chrysalis. 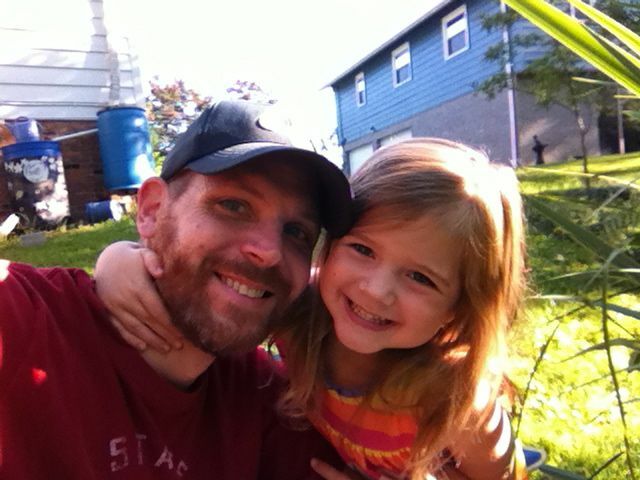 On September 23rd my youngest daughter was home. No preschool on Fridays. I am happy to share the video below of what we got to observe together. 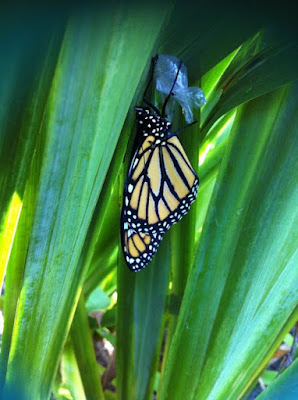 A view of our monarch butterfly moments after it emerged. 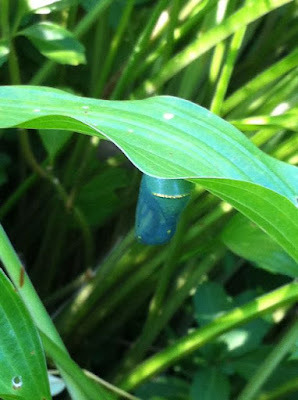 This was amazing, but while I was watching the monarch butterfly my daughter was poking around the garden and found another chrysalis! This was the third one we found in our butterfly garden!! The monarch butterfly hung out by its chrysalis for a couple hours. 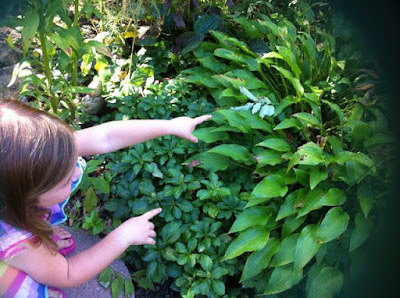 Then, we found it moving up the leaf. 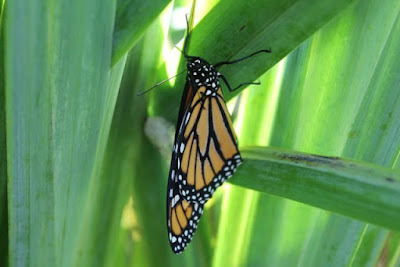 Then, in a test of strength it pulled itself onto the leaf above. This leaf would be its take-off runway. And it was off! 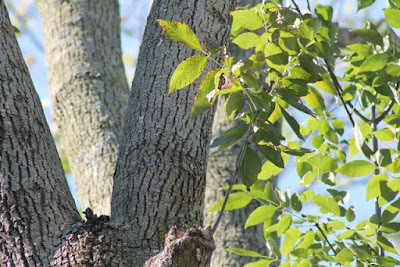 After a brief flight it rested high in a tree. Have a safe and happy journey to Mexico, Monarch Butterfly!